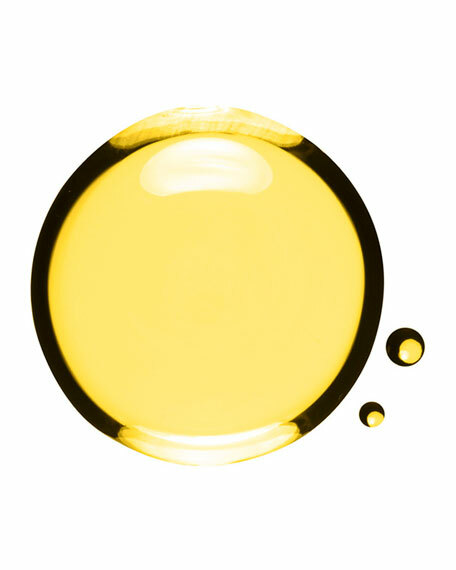 100% pure plant oils. Zero preservatives! 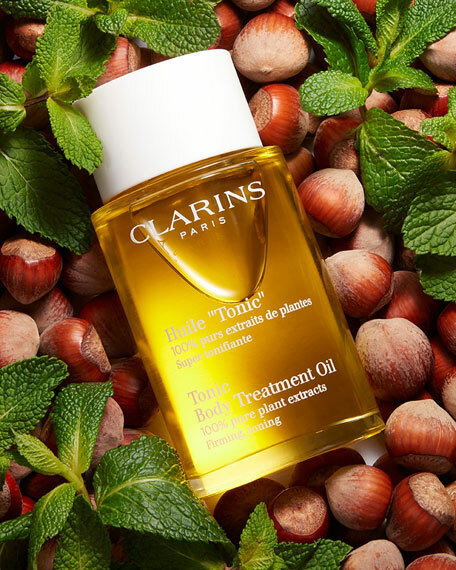 Clarins' best-selling body treatment oilwith Rosemary, Geranium and Mint extractshelps firm, tone and improve skin's elasticity, visibly reducing the appearance of stretch marks caused by pregnancy and weight fluctuations. Hazelnut Oil locks in moisture to soften, smooth and comfort dry skin. The aromatic plant extracts soothe skin and senses for an overall feeling of well-being. Sulfate Free, Phthalate Free, Volatile Silicone Free, and Mineral Oil Free. Prep skin in the shower with Exfoliating Body Scrub for Smooth Skin. 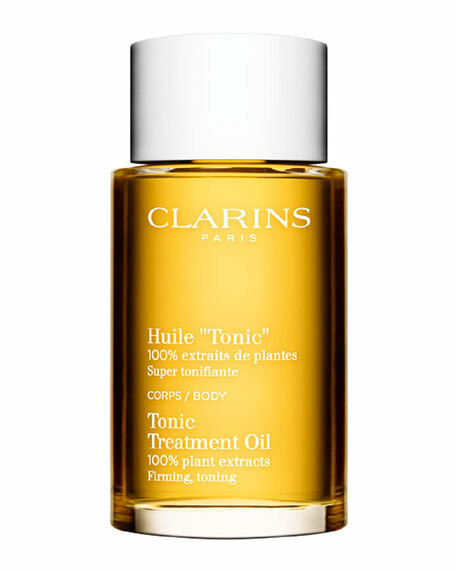 Apply Tonic Body Treatment Oil to damp skin with light sweeping motionsmoving upward from the ankles to areas of concern (waist, hips, thighs, buttocks and backs of arms, etc). Rinse with cool water and towel or air dry. Follow with Body Fit Anti-Cellulite Contouring Expert to help streamline the appearance of thighs and hips. Finish with Stretch Mark Minimizer to help boost skin's elasticity.